Any time a new president is elected, there is concern about how taxes will change. Will taxes be raised or lowered for certain groups or across the board? Will certain tax credits and other benefits be continued? Will deductions and other loopholes be closed? After the election of Donald Trump, it seems there is even more anxiety around the issue than usual. The president-elect has made some big promises for what he plans to change about the tax system, such as slashing taxes for the rich and getting rid of the estate tax. Trump has pushed to lower taxes across the board, with bigger breaks going to businesses and the rich. To start, Trump wants to lower the corporate tax rate from 35 percent to 15 percent. However, Republicans in the House are backing a tax rate of 20 percent. The average corporate tax rate in other developed nations is 25 percent. The idea is that cutting the corporate tax rate will increase the number of jobs. Some experts predict that dropping the corporate tax rate to 20 percent will create 600,000 new jobs, and cutting it to 15 percent would create 800,000 new jobs. Tax changes are also proposed for small businesses, which are often organized as LLCs, partnerships and sole proprietorships. Profits from these businesses are often claimed on individual tax returns. The current tax rate is 39.6 percent, and Trump wants to lower it to 15 percent so long as the profits are not claimed by the business owner. The House wants to change the rate to 25 percent and allow the owner “reasonable compensation” at regular income tax rates. Furthermore, Trump wants to lower the tax rate on capital gains, which are the profits from investments like stocks and mutual funds. Right now, the capital gains tax is 23.8 percent. Trump proposes eliminating a 3.8 percent surtax introduced by the Obama administration and leaving the capital gains tax rate at 20 percent. House Republicans are pushing to lower the capital gains tax rate to 15 percent, and the Tax Foundation says that would create 100,000 new jobs and boost the economy by 0.5 percent. Trump and House Republicans also want to eliminate the death tax, which is currently 40 percent. It is a tax on assets that are inherited. Right now, businesses are able to deduct the cost of an investment over many years. Deductions are made for the rate of depreciation of the investment, such as business equipment. Trump is pushing to allow for full expensing, which lets businesses deduct the full cost of the investment the year that it is purchased. The Tax Foundation says that there would be benefits to this tax change. The foundation says it would promote economic growth, increasing by 5.4 percent, and it would create more than 1 million jobs. The foundation also projects that after-tax income would rise by 5.3 percent. Some argue that allowing for full expensing would also require eliminating deductions for loan interest. They argue that businesses could use loans to purchase equipment that they could write off in full and then take an interest deduction, as well. Some say that this scenario is unlikely, while others say that allowing for both deductions would still be beneficial. Reducing tax burdens on families has long been seen as a way to help the economy. Ronald Reagan, both Bushes, Obama and more have all passed policies with tax benefits for families. Trump wants to create a bigger child credit, and most Republicans favor cutting payroll taxes for families with children. On the whole, families are seen as beneficial to society because they help balance the ratios of workers to retirees. Many more changes may be proposed once Trump takes office and the real policy work begins, and compromises and in-fighting could take some of the current proposals off the table or replace them with something else. One thing we can be sure of is that we will see some changes in 2017. 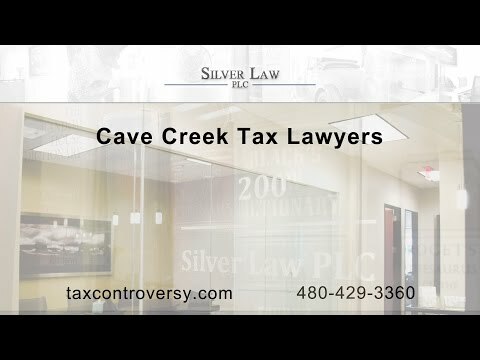 It is important that you work with a Cave Creek tax law lawyer to understand the changes as they are implemented and how they apply to you so that you can remain in compliance. Your tax lawyer will also ensure that you get all the deductions available to you so you can minimize your tax burden. Silver Law PLC has experienced tax lawyers helping clients throughout the Greater Phoenix Area in Arizona. Our tax law lawyers help clients with everything from tax audits to litigation. We represent both individual and corporate clients, and we provide counsel on complicated tax issues such as offshore reporting and innocent spouse relief. Contact us today if you need legal help with tax litigation, collections or more. We’re also here to help you understand your tax obligations in Arizona and under federal law.